Weapon maker logos from left to right, top to bottom: Splat, Deco, Neo, Nouveau, Custom and Dolphin. Weapon brands are the names and logos of the in-game companies that make the weapons in Splatoon. Unlike the brands for gear, weapon brands do not have any influence on abilities. This brand is most likely the first weapon brand a player encounters in Splatoon, since this brand is the maker of the Splattershot Jr., the starting weapon. More than just providing the starting weapon, the "Splat" brand is generally aimed towards beginners. Most of their weapons are unlocked early and usually have the first weapon available of the different main weapon classifications. The brand has a very unified look, based on water toy guns. The weapons features bright, plastic colours of light green, dark green and red. The exceptions to this aesthetic are the Splattershot Jr. and Splattershot Pro series, but nonetheless have a clear toy gun inspiration like the rest. Another attribute that the "Splat" weapons share is that most of them features the word "Splat" in one way or another. The conjectural name "Splat" has been assumed from this theme. Despite falling into this pattern with its English name, the Splat Brella is not part of this brand - in Japanese, its prefix is different than the other weapons named Splat. In Splatoon 2, the company's designs are now less colourful and more stylised, and instead of preferring bright green colors, they prefer purple, dark green and dark blue/purple colors. 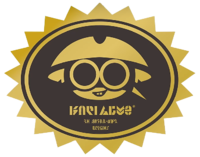 The "Splat" brand is known for their collaborations with popular gear brands, such as Tentatek , Forge and Firefin. The alternate sets of their different weapons consists mainly of these collaborations. "Splat" weapons in Splat Zones. The Deco brand focuses on creating weapons with chic, fashionable designs with a slight athletic vibe to them. However, some of their weapons are based on things found around the house, such as the Bloblobber being a bathtub and the Glooga Dualies being glue guns. Their weapons consist mainly of black or grey, with bright colours used as accents. Many of them include various patterns or shapes on them. The Deco weapons are mostly made of either carbon fiber or plastic of high-end quality. Another common characteristic of the Deco weapons is that big water cooler bottles are found on them, and are used as ink tanks for some of their bigger weapons. The suffix Deco is short for either Decorated or Decoration. The alternate sets of their main weapons have the suffix Deco and are decorated with either patterned rhinestones or yellow arrow stickers. The "Dolphin" brand features weapons based on common, water-related household items, such as products for cleaning and gardening. The alternate sets of their Nozzlenose series have the suffix D and are decorated with a clip of a dolphin logo. "Dolphin" is a conjectural name assumed from this sticker. The dolphin may be a reference to the codename for the Nintendo GameCube: "Dolphin." The Neo brand weapons are based on utilities. Their Splash-o-matic series is a fusion of a marker and tattoo pen with a steampunk aesthetic, and the Luna Blaster series is a hair dryer with a futuristic aesthetic. The Sloshing Machine series is a washing machine with a modern aesthetic. The Clash Blaster is an electric pencil sharpener (with crayons as ammo), also with a modern aesthetic. 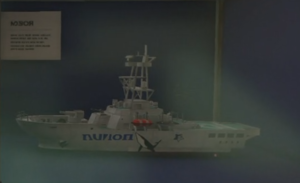 Outside of their weapon manufacturing, the Neo company are also shown to be a construction company. It has construction sites at various locations in Splatoon, with their mascot known as the "Slow Your Roll" Mole. The stage Hammerhead Bridge is one of them, and will be the largest bridge in Inkopolis when completed. However, it is implied by Callie and Marie that the construction has been stalling for quite some time, for unknown reasons. The Tutorial Area also has two apartments under construction, both adorned with two signs with the Neo logo and text. The company also was responsible for the redesign of Urchin Underpass in August 2015, Starfish Mainstage in September 2018 and The Reef in November 2018. The alternate sets of their main weapons have the word Neo as a suffix or prefix and are decorated with a sticker of their logo. The Sloshing Machine Neo's in-game description describes this sticker as "sweet". Neo's logo on a notice about Urchin Underpass maintenance for Version 2.0.0. In Splatoon 2, their icon has changed to a more simplified look, with less letters as seen in the promo images. However the Splash-o-matic, Sploosh-o-matic and it's variants keep the original logo, with their designs unchanged from Splatoon. The Nouveau brand consists of weapons based on brushes and accompanying art supplies. Their weapons are made almost entirely with light materials, such as plastic or wood, with some metal pieces holding them together or functioning as grips. Their weapons favor high mobility and rapid movement across stages. The Disruptor and Toxic Mist, on the other hand, focuses on restricting the opponent's movement instead. Either way, the player is given an advantage in mobility. The Nouveau main weapons generally have rather short range in favor of wider coverage. The alternate sets of their main weapons have the suffix Nouveau and are decorated with a white sticker, with red and black text written in Inkling. A graphic showing the Nouveau logo on the Disruptor's glass. The Custom brand is home to many of the heavy-hitters in Splatoon. Their main weapons also boast impressive range or power, sometimes even featuring both. As a downside, most of them also have low Ink efficiency and low mobility. The Custom brand weapons are in general unlocked late and may take time to master. The brand features a heavy industrial aesthetic to their weapons, with lots of metal parts, huge tanks, and wiring. Most of their weapons seems to consist of various forged items and tools that have been modified and turned into weapons, such as gas pumps (the E-liter 3K series), fire hydrants (the Hydra Splatling series), and loudspeakers (the Killer Wail). The alternate sets of their main weapons have the prefix Custom and are decorated with a sticker of their logo, or a differently colored variant of it. Despite falling into this pattern with its English name, the Custom Splattershot Jr. is not part of this brand - in Japanese, its suffix is different than the other weapons named Custom. The Ammo Knights brand features the in-house weapons from Sheldon's weapon shop, Ammo Knights. While Sheldon has modified weapons of other brands to create new weapon sets for his shop, the Ammo Knights brand weapons are solely created from the blueprints of his grandfather, Ammoses Shellendorf. Both of the Ammo Knights series have a very mechanical look to them and are seemingly made entirely out of metal parts. Each weapon has parts that have been spray-painted in either chrome or gold. The Ammo Knights pattern on a wall at Mahi-Mahi Resort. The Nintendo weapon brand is an outlier among the weapon brands, since it is the only one that exists in the real world. It only has one series of main weapons, the N-ZAPs. These are based on the different versions of the NES Zapper, the N-ZAP '85 and N-ZAP '89 being based off of the versions of the NES Zapper before and after it was modified to not resemble a real gun in 1989. The only Nintendo-branded special weapon, the Bomb Launcher, is based on the Ultra Machine, a toy made by Nintendo in 1967. The Sheldon's Picks brand contains recolored variants of other main weapons. Each primary weapon comes with a new kit, creating a third variant of each. In Splatoon, weapons in this range were released in two volumes. 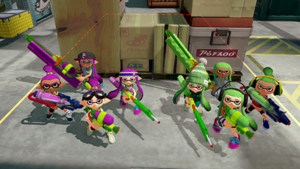 The Sheldon's Picks range returned in Splatoon 2 in Version 4.6.0, though weapons which overlapped with the Kensa Collection (The Splattershot, Splat Roller, Splat Charger, Splatterscope, Splattershot Pro, Mini Splatling and Dynamo Roller) were excluded, leaving 10 weapons from the original collection. In addition, two new weapons were added to the range, variants for weapons that did not exist in Splatoon, for a final total of 12 weapons. The Foil brand was one of the new weapon brands introduced in Splatoon 2. The alternate sets of their main weapons have the prefix Foil and are decorated with either a black and white Inkling sticker, or a orange and white triangular one with black text. Foil brand weapons have some type of dual functionality in their operation, as symbolized by the arrow symbol pointing to both sides in their logo. The Sorella brand is one of the new weapon brands in Splatoon 2. This company makes weapons based on umbrellas that are both offensive and defensive depending on how long the player holds . The alternate versions of their weapons have the prefix or suffix Sorella, and have a different pattern. 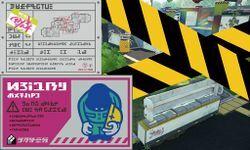 Signs with Sorella's name can be found in Arowana Mall and Kelp Dome while shipping containers in Port Mackerel are found with Sorella's name and logo. Sorella's name is also found on the bump and on the basket's top in Clam Blitz. Exhibit in Shellendorf Institute during Splat Zones of a corvette with the "Auto" logo. 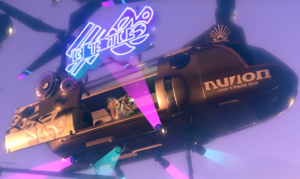 Pearl's helicopter with the "Auto" logo in the Octo Expansion. The "Auto" brand is one of the new weapon brands in Splatoon 2. The only weapon currently made by this company is the Autobomb. Their logo appears to be a humpback whale, possibly in reference to the whale's "singing" being similar to the Autobomb's sonar. This company makes vessles to navigate or detect objects on or under the surface of the water, such as other vessles. Grizzco Industries is a company in Splatoon 2 run by Mr. Grizz. During wildcard rotations of Salmon Run, one of Mr. Grizz's personal weapons will be "accidentally" added to the mix. Grizzco weapons are heavily (and possibly illegally) modified versions of normal weapons with much more powerful stats. Grizzco Industry weapons have a heavy industrial appearance, with brushed metal bodywork, exposed wiring and thick piping, as well as household object such as prescription bottles, giving the impression of DIY construction. Normally a gear brand, Tentatek also creates weapons of its own, in addition to their collaboration with "Splat" for the Tentatek Splattershot. Similar to their clothes, their independently created weapons are brightly colored and sporty-themed. The Kensa Collection is a line of weapons redesigned by Toni Kensa and released in a series of collections. The first collection was added in version 4.0.0, the second in version 4.1.0, the third in version 4.2.0, and the fourth and final collection in version 4.3.0. The Fizzy Bomb and Torpedo sub weapons, as well as Booyah Bomb and Ultra Stamp special weapons were introduced along with Kensa Collection weapon kits. The designs of Kensa Collection weapons evoke a sense of high fashion; in keeping with the plain and monochrome style of Toni Kensa gear, Kensa Collection weapons all share a stark black and white color scheme, along with a dark red clothes peg fastened somewhere on the weapon's body. The "Fizzy" brand is one of the new weapon brands in Splatoon 2. The only weapon currently made by this company is the Fizzy Bomb. The brand name "Fizzy" is assumed from this weapon. Their logo appears to be shark fins or white sails, appearing on vending machines and on containers in Port Mackerel, and on signs at Arowana Mall. In Splatoon, 'Vending machines' (じはんき, Jihanki) company logo appears on vending machines and on containers with drinks. In Splatoon 2, "Vending Machines" logo doesn't appear on vending machines anymore and its logo appears on two weapons: the Inkjet and the Tenta Missiles. Gear icon stickers that appear on weapons. Outdoor of Ammo Knights in Inkopolis Square with the weapon brands logos on the wall. From top to bottom: Deco, Nouveau, Dolphin, Neo and Custom. E3 2014 Super weapon known later as Inkzooka with early stage icon from the "Splat" brand. The names for Ammo Knights, Sheldon's Picks and Tentatek can be found on their respective pages. Nintendo is named the same in all regions. Blue table cells indicate a name prefix, white cells indicate a suffix. This page was last edited on 18 April 2019, at 17:57. This page has been accessed 97,090 times.